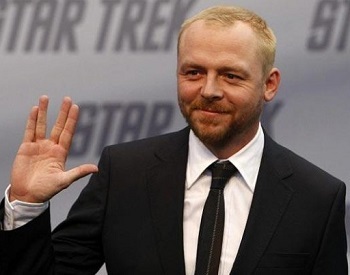 Simon Pegg Told To Make Star Trek 3 Script "More Inclusive"
Actor/writer Simon Pegg believes the film industry focuses too much on "dumbing down" for wider audiences. One of the biggest complaints levied against Star Trek: Into Darkness was the fact that it took the thoughtful science fiction of the original series and reduced it down to a mindless action flick with more explosions and cleavage than logic and sense. 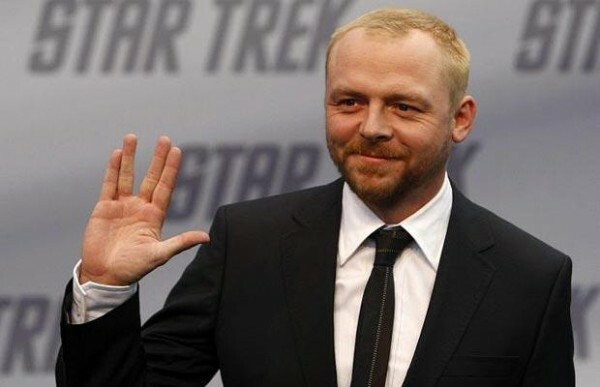 Now, if comments from actor/writer Simon Pegg are any indicator, franchise fans may want to ready themselves for more of the same from Star Trek 3. Pegg, who helped write the next film, recently discussed its script in an interview where he described an exchange with the film's studio that left him feeling somewhat disheartened. "They had a script for Star Trek that wasn't really working for them,"he said. "I think the studio was worried that it might have been a little bit too Star Trek-y." As a result of this supposed deficiency, he was asked to modify the draft to make it "more inclusive." He would go on to elaborate that this basically meant making "a western or a thriller or a heist movie, then populate that with Star Trek characters." Speaking about the film industry in general, Pegg expressed concerns that the movies, over the past several decades, have become overall too dependent on spectacle over substance. "Before Star Wars, the films that were box-office hits were The Godfather, Taxi Driver, Bonnie and Clyde and The French Connection - gritty, amoral art movies." While he affirmed that he likes "genre cinema" as much as the next nerd, he worried that too many movies are "dumbing down" toward the goal of being friendly to wider audiences.